Easter is an important anniversary, which deserves to be celebrated with a grand style dinner. 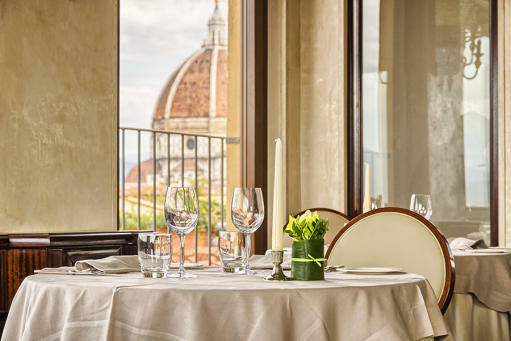 Don't miss the opportunity to spend this moment enjoying the haute cuisine dishes of our special menu, while in front of you opens a unique view over the rooftops of Florence! Wine (Chianti Gallo nero DOCG di Pietraftta), water and coffee are included in the price. For information and reservations write to info@b-roof.it or call 055 2358 8965.